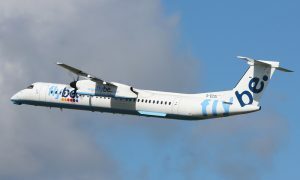 Flybe, Europe’s largest regional airline, has announced a brand new, year round multi-frequency service to Rotterdam The Hague Airport from its Birmingham hub. The new route will operate twice daily during the week and once a day on Saturdays and Sundays. 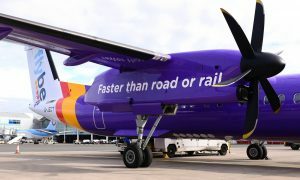 In particular, the new route will also provide convenient connections for passengers travelling via the airline’s Birmingham hub to or from Belfast, Aberdeen, Edinburgh and Glasgow. Rotterdam The Hague Airport is located 20-25 minutes equidistant from Rotterdam, Netherlands’ ‘second city’, and the country’s seat of government in The Hague with frequent speedy connections allowing speedy access to these two key destinations. Rotterdam is an important commercial hub and, with a renowned maritime heritage, is also Europe’s largest cargo port. Flights have been timed to particularly accommodate business travel offering the opportunity for convenient day returns, as well as to attract the leisure traveller wanting to enjoy the cities’ lively cultural scenes, numerous museums and dynamic nightlife. Paul Simmons, Flybe’s Chief Commercial Officer, comments: “Our brand new route to Rotterdam The Hague starting next September is a brand new destination for Flybe and we look forward to welcoming all our new passengers on board. Birmingham is an important hub for Flybe from where it maintains its position as the largest scheduled airline measured by the number of air traffic movements. 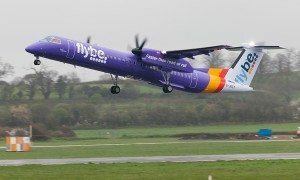 Passengers are increasingly taking advantage of travelling via Birmingham to by-pass congested London airports and make more convenient, seamless onward connections regionally with Flybe and also to a wide selection of long haul destinations through its various codeshare partners.